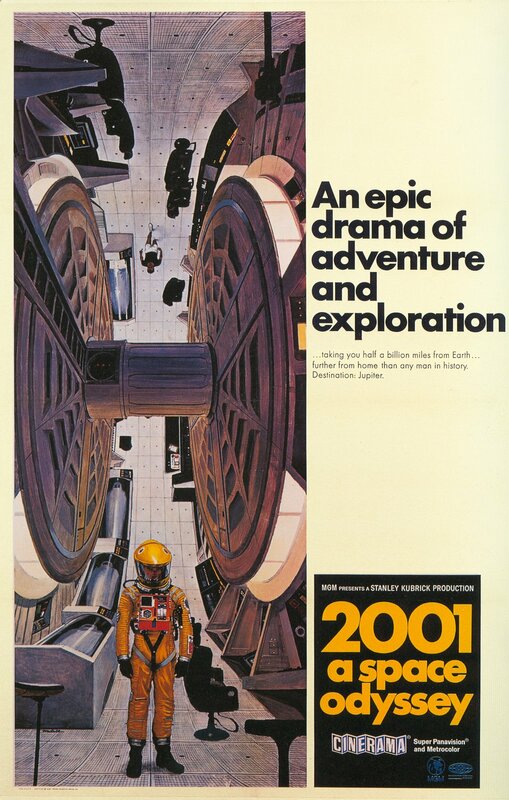 Never saw 2001: A Space Odyssey in 70mm? Here’s your chance! 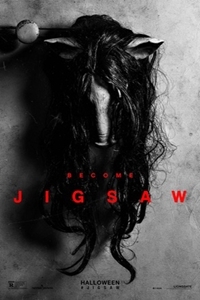 As a fan of both the Saw franchise and the two big houses at the Reading Grossmont, I reasoned that there was no better multiplex in the country to watch an opening-day showing of Jigsaw. But though there was no one else in line for the early-morning matinee — and subsequently, not more than an audience of four in attendance — I was nonetheless asked to choose one of the theatre’s 400 seats in which to squat. Once upon a time, the term reserved seating was reserved for three-panel Cinerama, or epics presented in the splendor of CinemaScope, Technicolor, stereophonic sound, and later, 70mm. Nowadays, it’s hard to imagine a grateful nation longing for the day color TV would become the norm and they wouldn’t have to leave their homes to go to the movies. There is no room in this moviegoer’s core for reserved seating. First come, first served, that’s the ticket! 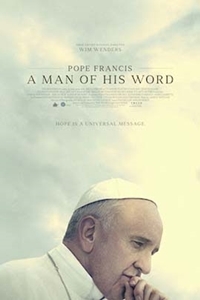 Being a matinee man at heart (unless a press screening demands my presence), it’s seldom that you will catch me at a theatre during peak business hours. That’s when the rest of the world goes to the movies. Still, I can almost understand the appeal of reserved seating when preparing to take in a packed weekend evening show: buy a ticket online for the 8:00 pm presentation and even if you show up at at 7:59, you’re still guaranteed a sweet seat. But do the same rules really need apply to a 10:45 screening on a Friday morning? Normally I choose to sit close, preferring that the aspect ratio fit snugly within my field of vision. Until they get to know me, box office personnel generally look at my seat selection on the touchpad and offer a friendly warning like, “Uhh… that’s the screen at the top. You really want the fourth row?” Yes. We stand at a time in our moviegoing history where even the least significant among us feel the need to check their phones at least four times during the course of an average motion picture. Now more than ever, it’s best to keep the disruptive pests at our backs, rather than before us, piercing our field-of-vision with their shafts of blue light. The all-green seating chart indicated that not one ticket had been sold as of yet. When asked to choose a viewing portal, I decided that day to sit in the seat that the computer randomly assigned. “Surprise me,” I replied. Instead of 4th row center, it was so deigned that I would enjoy the carnage a scant six rows from the projection booth. How many times have you been in a relatively empty theatre — with dozens of spots to choose from — only to have a patron take up residence in the seat directly in front of you? I’ll do you one better: imagine you’re alone in a 400-seat theatre and the only other person in the auditorium, who also decided to let the computer do the picking, assumes the adjoining seat on your left. Didn’t his parents tell him about the “gay seat”? Unless a theatre is packed, two heterosexual men must sit a seat apart, hence the term. The guy was decidedly more space-invader than masher, yet I didn’t have the heart (guts?) to get up and move. The worst is the yenta brigade, the blue-haired honeys who are as about as familiar with technology as Trump is with civility. You should have seen what was in line ahead of me for Pope Francis. One could have toured the Vatican in the time it took these gals to choose a seat. They stared at the chart as though a mortician was asking which plot they would choose for their eternal resting place. Filming in 70mm proved to be cost-prohibitive. For a period, Hollywood would commission 70mm “blow-ups” of bigger pictures shot in 35mm. (As much as I adore Gremlins 2, even I was stunned to experience it in the grandeur of 70mm.) With the advent of digital sound, 70mm was put on the disabled list. One guesses that we have Quentin Tarantino to thank for the current resurgence in 70mm technology. 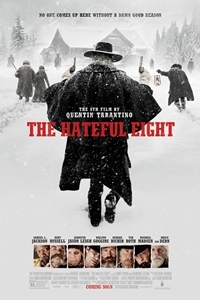 Even though The Hateful Eight was little more than a high-resolution stage play, it did bring the presentation of wide-gauge filmmaking back into theatres. This was followed by Christopher Nolan’s Dunkirk and now a revival of sorts is about to hit town. Join in the 50th anniversary celebration when 2001: A Space Odyssey screens June 1-3 at 11 am, and Monday, June 4 at 7 pm. Along with it, you can experience another relic from the past: the 164 minute film will be shown with a 15 minute intermission. Tickets are $10. For more information, please visit Reading's website. May 31, 2018 @ 4:53 p.m.
May 31, 2018 @ 6:40 p.m.
What do you want me to say? He smelled good and had big hands. May 31, 2018 @ 7:03 p.m.
You a very funny guy. May 31, 2018 @ 7:22 p.m.
Scott, I'm sure you remember Todd-AO, too. It was a huge improvement to the 3-panel Cinerama. Shot on 65mm & printed on 70mm stock, it was a mind-blower for its time. And "Oklahoma!" was shot in Todd-AO at 30 frames per second, instead of standard 24. That was amazing technology for the times. They also shot that movie in 35mm/24fps, for the later wide release prints..
June 1, 2018 @ 8:48 a.m. I not old enough to have seen a film projected in Todd-AO. My parents took me to several Cinerama presentations and I saw "How the West Was Won" a few years back when the CineramaDome revived the 3-panel process. The one technological advancement I would have loved to experience was horizontal VistaVision. And believe it or not, I never did make it all the way through either "Oklahoma" or "South Pacific." Too many Minnelli and Donen musicals to rewatch. June 1, 2018 @ 9:24 a.m.
June 1, 2018 @ 3:48 p.m. I meant to say Joey and Lorna.